The client was sent a number of alternative designs in addition to the one finally chosen. 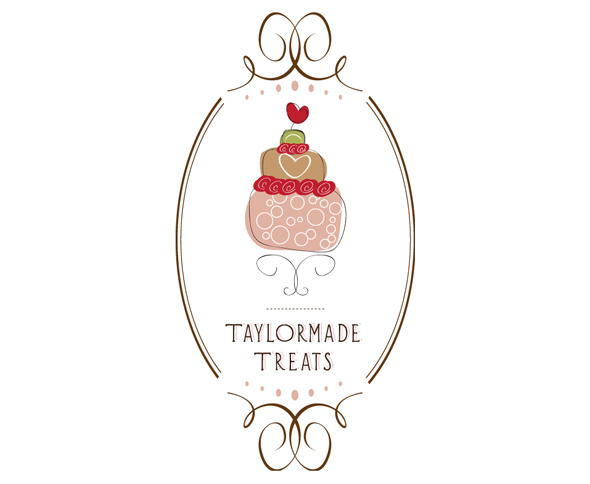 The client chose a design featuring a sketch-style cake in ornate cameo frame as the logo which best reflected their brand. The client needed a new logo, which we produced according to their brief. This specified that the logo should use a colour palette primarily of chocolate brown, dusky pink and sage green, should incorporate a “shabby chic” design style if possible and should be reminiscent of old-fashioned cameo frames. We provided a number of designs and variations according to this brief. 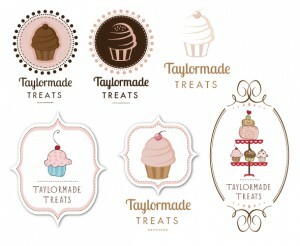 The final logo selected used a deliberately sketchy hand-drawn style which the client felt best fitted their “home-made” brand. 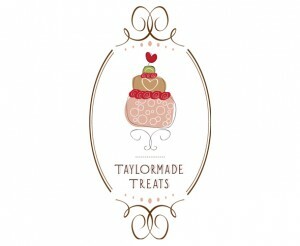 The cake stand in the image forms a stylised “T” representative of their company initial. The final logo was supplied in a number of formats, including as a vector graphic that could be scaled to any size for use on banners and shop signs.